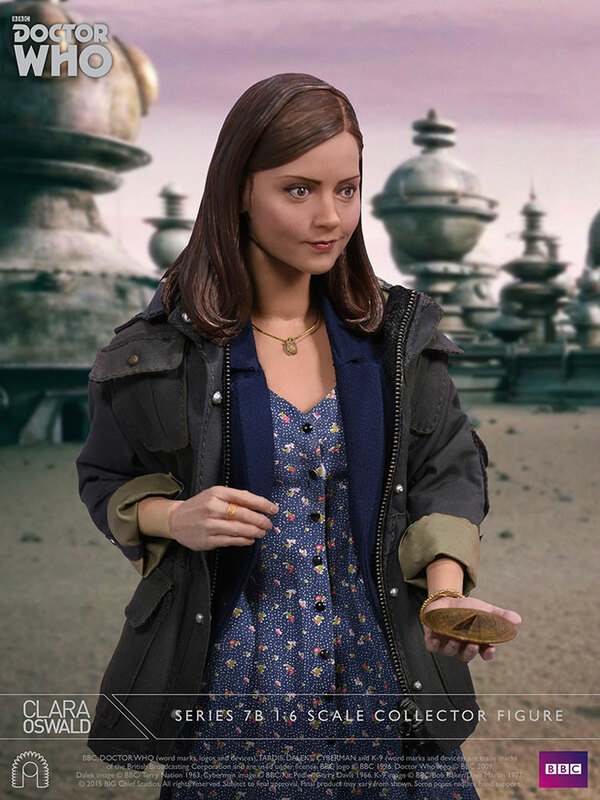 BIG Chief Studios are proud to announce the next pre-order in the Doctor Who 1:6 Scale Figure Collection, one of the Doctor’s most extraordinary companions – Clara Oswald. Clara allowed the time winds to tear her into countless different iterations of herself. These different Clara’s helped the Time Lord on many occasions, with one of them even persuading the First Doctor to steal the TARDIS that became ‘his’ time machine. The Eleventh Doctor initially encountered two of the ‘echo Claras’ and was mystified by them. How could the same person be existing and then dying on different planets in apparently different time zones? He named her the ‘impossible girl’ and resolved to find her, eventually tracking down the ‘real’ Clara to modern day England where she worked as a nanny. A kind, cheeky and optimistic young woman, she travelled with the Doctor sharing his adventures. Featuring a stunning likeness of Jenna Coleman, the figure comes outfitted in a floral print dress with blazer and outdoor coat. Clara also comes with her red shoulder bag, numerous accessories and a light-up display base. The Signature Edition includes a special autograph plaque hand-signed by Jenna Coleman and is available exclusively from www.bigchiefstudios.co.uk. 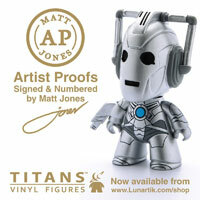 Limited to only 300 pieces worldwide, each figure comes complete with an autograph plaque, display stand, a certificate of authenticity and is packed in a full colour printed box. We are currently expecting Clara to arrive in stock the early in the New Year, that’s the latest update from the factory. We had hoped to get her in before Christmas but we been informed by the factory that Clara will arrive in the New Year and could be looking at February/March. As far as I know there are no plans at the minute. Big Chief recently released a prototype head for their next doctor; the third who will be in his season 7/Sea Devil look. 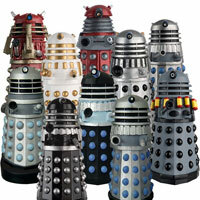 They have said they want to do each doctor however with the release of other ranges such as Gerry Anderson and James Bond one must assume the doctor range will slow down. Especially as they are having trouble with Clara, rose and the war doctor. I have ordered the signature edition, I have been waiting for over a year now as I ordered her straight away. 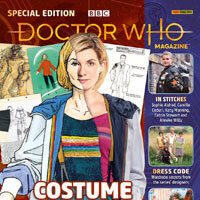 The site had a realise date for this which was pushed back twice but now the site no longer has a date so I have no idea when this will arrive. I keep forgetting I ordered her so one day I hope to get a nice surprise Clara in the post. Are they still planing on doing the Eleventh doctor expansion packs, like the almost people and that, or has that been binned? Just ordered her! Can’t wait to put her with my other Doctors! 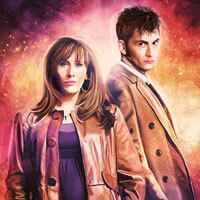 But, in other news, anyone know where could I maybe get a 1/6 scale 12th doctor red velvet coat? I’ve got the series eight one, but I love that look, so if anyone knew where to get it one like it or a custom, that would be very helpful! Big Chief did make one, but it was a Doctor Who Convention exclusive. If you’re lucky (and loaded), someone might put one up on Ebay at some point, so you’d have to keep checking. Other than that, you’d have to find someone who makes 1/6 scale clothing. There are…parts…but only chestal as it helps for the clothing to sit naturally on the figures. So see when you pre-order this from BC, does it take the full money out straight way or does it only take the twenty pound deposit and take the money at the later date. I know that’s how it works with shipping. Thanks for any help. Is there any postage cost?? And also do u only get certificate with the signature version? I’d have strongly preferred a later Clara, not a 7B version, but since I suspect it really is very unlikely that this will sell well enough that we’ll get a second version later (and this already comes with S9 accessories, i.e. the confession dial), I decided to go ahead and pre-ordered the signature edition last night. My Twelve does need his Clara, after all. 😀 And I can always pretend she wore the same dress in an unseen adventure with Twelve. I thought it was to come with the new sonic? 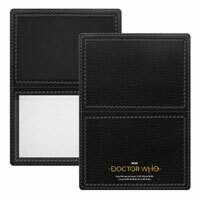 When payday comes, may pre order, have 12th and the TARDIS, need a companion. 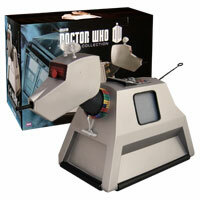 Well Tardis won’t get until April as I am still a few payments off. But 12 (and handles as I felt bad for keep making them wait.) are paid up and I should get those soon. Wish I had the money and the ability to properly get hold of this from over where I am. I’m probably going to regret not getting this. Part of me wants to hold out and see of they do a Series 9 version. Probably with her holding a leaf (think about it). Also something I’ve noticed, this figure is marked “Series 7B”. 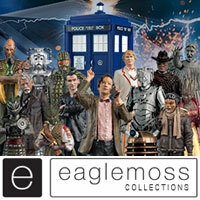 I wouldn’t be surprised if they had another Clara Oswald 1:6 scale lined up for the future, from either Series 8 or 9. Unfortunately, I don’t think they will sell enough to make another version. 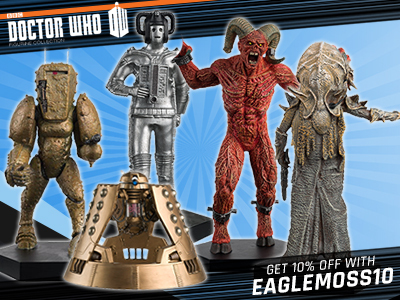 Even the Capaldi figure only has a run of 1000 and that isn’t sold out yet. Jenna has gone which will also reduce its appeal. This likeness is the best yet and beautiful women are hard to get right. Pity Amy wasn’t this brilliant. Yes, I didn’t think it was likely, more wishful thinking. I wouldn’t have chosen Series 7B Clara. Would have been nice if they had chosen to do a Series 8 Clara from ‘Flatline’, right in the middle of her tenure rather than the beginning. Oh well, a Series 7B Clara is better than no Clara. Already pre-ordered the Signature Edition. Already collect Big Chief’s Doctor Who 1:6 scale figures anyway, and there was no way that I was passing up on a signature from Jenna Coleman. Series 7B? But she’s holding the series 9 confession dial? Pre-ordered the Signature Edition. Already collect the Big Chief Doctor Who figures, and no way was I passing up on an autograph from Jenna Coleman. 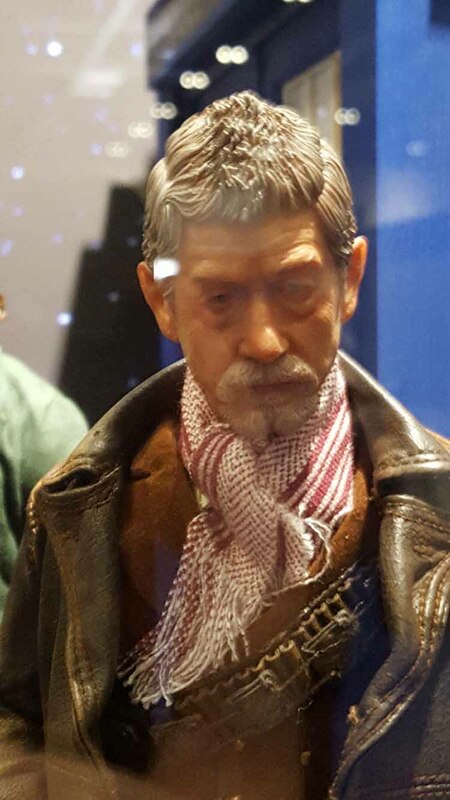 There is also a War Doctor version coming out. 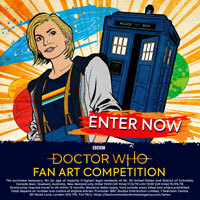 As well as Captain Jack Harkness, Rose Tyler, the Eighth Doctor and Tenth Doctor pyjama expansion pack. 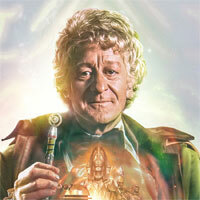 When is the war doctor up for pre order? There’s no indication of when any product will go up for pre-order. All said products appeared all at once at one of the collectors fairs. Big Chief give an advance announcement on their Facebook page a week before a product goes for pre-order though, so I’d recommend checking that every so often. OMG this is really good.